- Talking Guide - C Spire TV now supports the FCC 21st Century Video Accessibility Act (CVAA). - Various bug fixes and usability improvements. This app is rather rudimentary. Kind like U-verse was 5 years ago. 1. 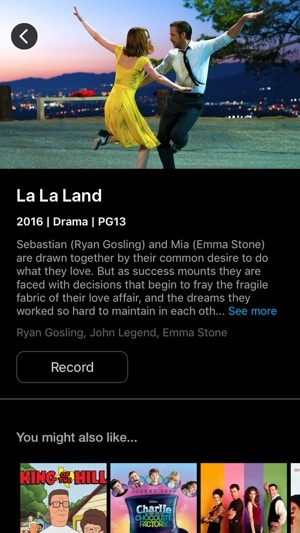 You can’t view the guide and select recording for shows to come. 2. When selecting a TV Series it records ‘all’ upcoming episodes, even though many are repeats and previously aired episodes. Example with U-Verse you can record only 1st aired, so you get one episode per week, not the same episode that was repeated 3 times during the week. 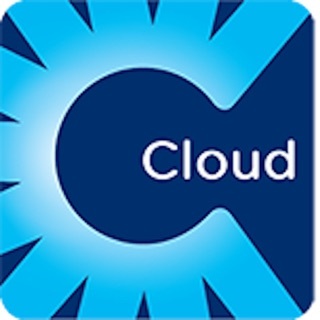 The developer should get an account with various vendors (U-Verse, Comcast, etc) and extract their best features. Oh well, hopefully C-Spire will be open minded to user suggestions. 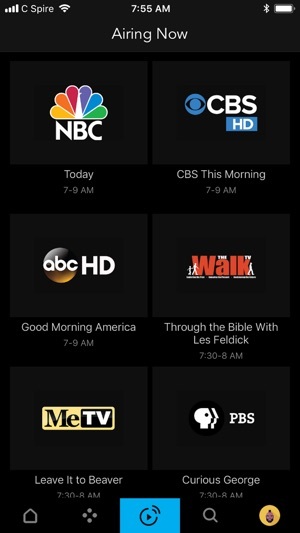 The app allows you to see what is currently airing on TV, but it would be better if you could pull up the guide for current and future airings. 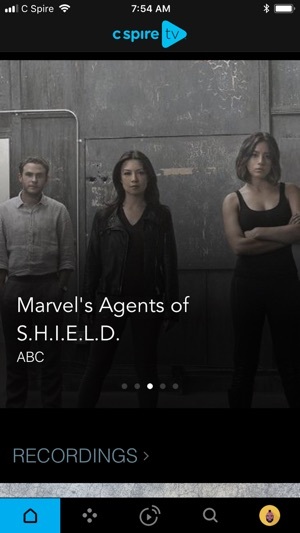 The ability to view the entire guide as you can on your TV coupled with the ability to record future airings through the app would be great. 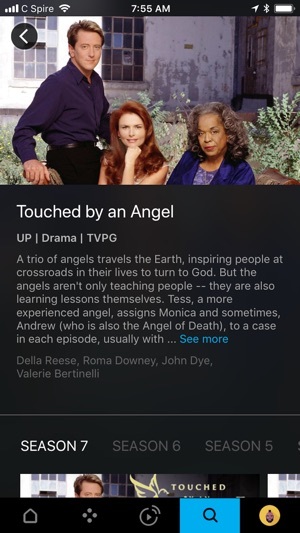 Currently you can only set programs that are currently airing to record. I initially had the app and logged in and it worked fine. Made the mistake of logging out and now I can never login again. What I get is a whirling wheel and nothing happens. Unless you delete the app you’re never able to even attempt to log back in again. It just ignores anything you do. But if you log back in – or attempt to - you just get the whirling wheel again.